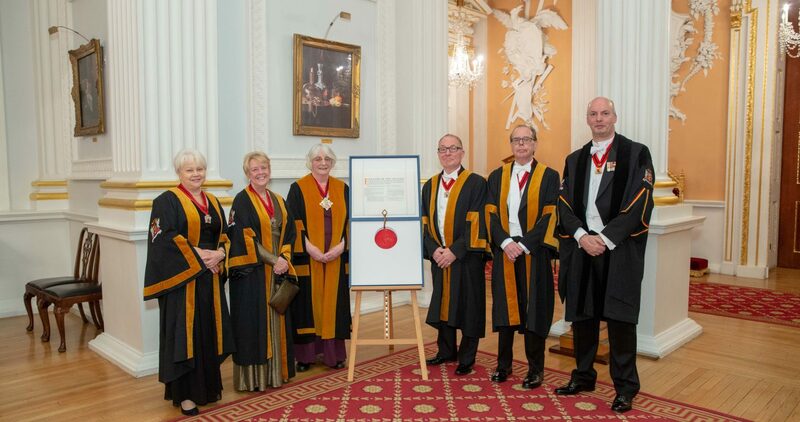 Lis Goodwin is the Master of the Worshipful Company of Educators and Chairman of Livery Schools Link. She is married to David and has two children Martin, a lawyer, and Caroline who works in finance in Norway. There are four grandsons. She lives in Theydon Bois, Epping Forest and is past Chairman of the Arts Society West Essex and past Chairman of the Epping Eppingen twinning association. She graduated in Mathematics and following an MSc in Statistics at LSE she joined the Government Statistical Service. Her subsequent career was in education starting as a mathematics teacher at an international school and then she became a lecturer in Statistics at City of London Polytechnic now part of London Metropolitan University. During this time she gained her PhD. She was Head of Department of Mathematics, Statistics and Computing at North London Polytechnic and was involved with the national validation bodies of CNAA and BTEC. Her next post was an HMI on the team responsible for the quality of provision in Mathematics and Computing in polytechnics and FE colleges in England . In 1992 she became Chief Education Executive at the Institute of Actuaries and Faculty of Actuaries. This was the first joint post between the two bodies as a common exam system was being developed for introduction in 1994. She oversaw 3 changes to the qualification system during her time there until she left in 2005. She also worked with the International Actuarial Association on a common standard for actuarial education in all member countries and advised the actuarial associations in India and South Africa on the development of their examination systems..
She was for several years a Council member and then Treasurer of the Institute of Mathematics and its Applications and helped them gain government funding in 2006 to increase the number of mathematics graduates in England and Wales. Her spare time interests are reading, art, theatre, walking and travelling.